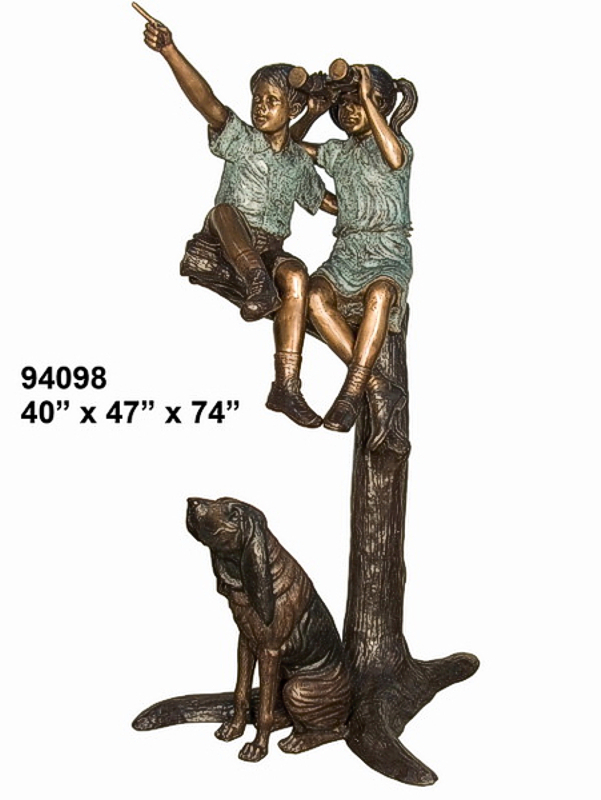 Beautifully detailed Bronze Kids playing in a tree Statue or Fountain. Fabricated in the lost wax method. This adorable statue is a true work of art. Perfect for a school, home, office building, lodge, park, aquarium, waterpark, resort, catering hall, convention center, restaurant, shopping center, marina hotel or any facility seeking a great conversation piece. Makes for a great photo-op.